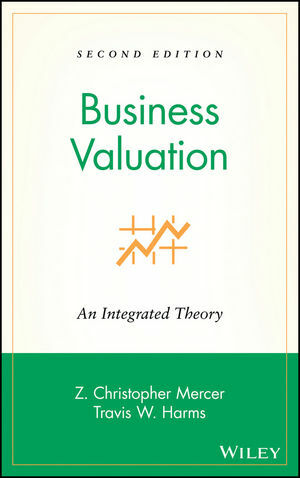 Grounded in the real world of market participants, Business Valuation, Second Edition addresses your need to understand business valuation, providing a means of articulating valuation concepts to help you negotiate value-enhancing transactions. Z. Christopher Mercer, ASA, CFA, is a luminary in the field of business valuation. He is the author of several business valuation books and is editor of the Editorial Advisory Board of Valuation Strategies, a national magazine published by the RIA Group dealing with current appraisal issues. One of the most sought-after speakers on business valuation in the nation, he is the founder and CEO of Mercer Capital Management Inc., a leading business valuation and investment banking firm. Travis W. Harms, CFA, CPA/ABV, is one of the brightest minds in business valuation. A vice president with Mercer Capital Management, Inc., he is the coauthor of Valuation for Impairment Testing and a popular speaker on business valuation topics. Chapter 1. Discounted Cash Flow and The Gordon Model - The Very Basics of Value. Chapter 10: Application of the Integrated Theory to Tax Pass-Through Entities.